This project aims to deliver the most comprehensive, detailed and stereotaxically accurate MRI atlas of the canonical human brain. In human neuroscience, researchers and clinicians almost always investigate images obtained from living individuals. Yet, there is no satisfactory MRI atlas of the human brain in vivo or post-mortem. There are some population-based atlases, which valiantly solve a number of problems, but they fail to address major needs. Most problematically, they segment only a small number of brain structures, typically about 50, and they are of limited value for the interpretation of a single subject/patient. In contrast to population-based approaches, the present project will investigate normal, living subjects in detail. We aim to define approximately 800 structures, as in the histological atlas of Mai, Majtanik and Paxinos (2016), and, thus, provide a “gold standard” for science and clinical practice. We will do this by obtaining high-resolution MRI at 3T and 7T of twelve subjects through a collaboration with Markus Barth from the Centre for Advanced Imaging at the University of Queensland (UQ). The limited number of subjects will allow us to image each for longer periods, obtaining higher resolution and contrast, and to invest the required time to produce unprecedented detail in segmentation. We will produce an electronic atlas for interpreting MR images, both as a tablet application and as an online web service. The tablet application will provide a convenient and powerful exegesis of brain anatomy for researchers and clinicians. The open access web service will additionally provide images, segmentation and anatomical templates to be used with most common MR-analysis packages (e.g., SPM, FSL, MINC, BrainVoyager). This will be hosted in collaboration with UQ, supporting and complementing their population-based atlas. The most recent project completed by Paxinos and Watson was the publication, in book form, of the first of a new generation of atlases exploiting the power of magnetic resonance histology, diffusion tensor imaging and digital atlasing. With the combined experience of Prof. Paxinos and Al Johnson (a Professor of Radiology, Physics, and Biomedical Engineering from Duke University) and support from The ARC Centre of Excellence for Integrative Brain Function based at Monash University, an MRI/DTI atlas of the rat brain was constucted , and the next step is the construction of an equivalent mouse brain atlas that can be used as a reference for researchers working with mice, particularly transgenic mice. Accurate brain atlases are essential to studies using animal models of human brain pathology, such as Parkinson’s disease and Alzheimer’s disease. By far the most widely used animal brain atlas for transgenic mice is the histological atlas of the mouse brain by Paxinos and Franklin. The new MRI/DTI atlas of the mouse brain will be directly compatible with the histological atlas (Paxinos and Franklin 4th Ed., 2013). An accurate MR atlas would have many practical and technical advantages over a histological atlas, including the fact that it can generate 3D images, and can be used with living animals, which can be scanned repeatedly without injury. In collaboration with MR experts Al Johnson (a Professor of Radiology, Physics, and Biomedical Engineering from Duke University) and Dr Mark Schira at the University of Wollongong, we are constructing an electronic atlas of the human brainstem. 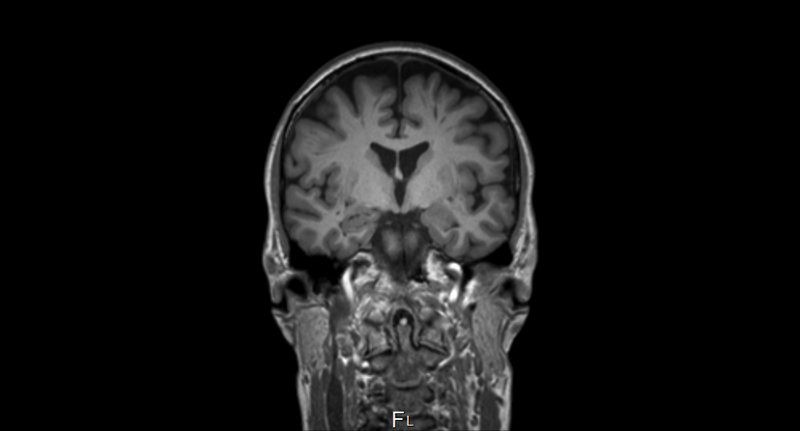 The atlas will combine in vivo magnetic resonance imaging, magnetic resonance microscopy, and histological images and be compatible with tablet computers to provide a convenient, yet powerful, reference for research and clinical use. We will also create an anatomical template to be used with most common MR-analysis packages (e.g., SPM, FSL, MINC, and BrainVoyager), to allow fast and effective alignment and warping of new data into the atlas framework.